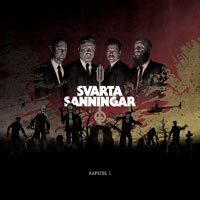 The mellow beat which starts off SVARTA SANNINGAR's debut EP “Kapitel 1” has that character that lures you in and draws you into the beat. It's dreamy, melancholic and melodic with a touch of post-Punk and Rock to keep it filthy. I do think the reason why Punk comes to mind lies more in the face that everything is sung in Swedish rather than the style itself though. Musically, this matches the moniker set as SVARTA SANNINGAR as the gloom overshadows the whole EP. 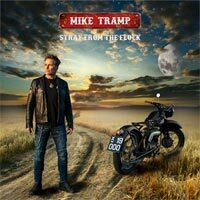 I don't know what really happened, but after seeing MIKE TRAMP AND THE ROCK'N'ROLL CIRCUZ live at ’Sweden Rock Festival’ a couple of years ago, I couldn't let it go. Seeing him open for PRETTY MAIDS later the same year just fed the feeling and after the double show release-party for “Maybe Tomorrow” I was hooked for real. I mean, I was into WHITE LION as well as FREAK OF NATURE back in the day. I love Mike's voice, no matter what he does and I always have. But, when trying to get in to his solo material, I realized it was too soft for my taste. Well... until hearing the songs live that is. He is surrounded by fantastic musicians and combined with his own skills the concerts are just outstanding. With the volume and added roughness to the sound really does the trick.